4x5 Kodachrome transparency by Louise Rosskam. Washington, D.C., 1942. 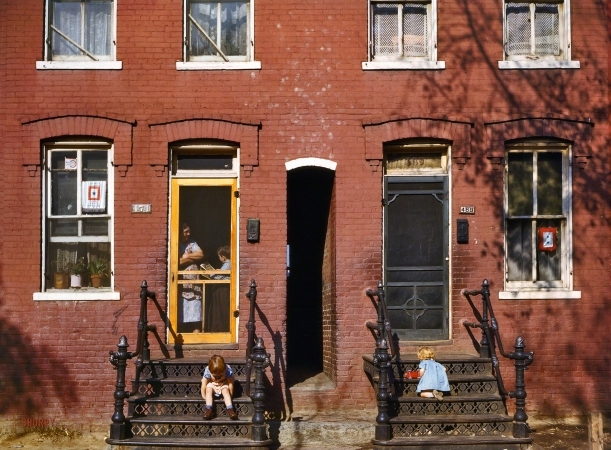 "Children on rowhouse steps, corner of N and Union Streets S.W."